Gaby Jogeix gives us some insight into the recording process and artists that joined him in this journey. One of the most important pieces of the new work is Alain Baudry, responsible for selecting both production and renowed international musicians as Eddie Christmas (drums), Kennan Shaw (bass) and Tom Worrell (piano). All of them had the full freedom to make contributions during the composition and recording process. 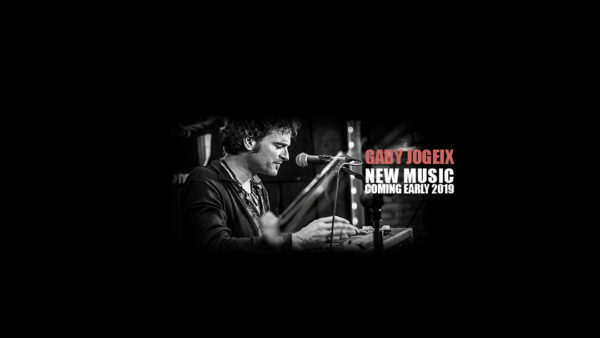 In this new album Gaby Jogeix delves into the voices as part of the essence of New Orleans, adapting them to his singles, leaving the instruments as an ideal addition to the songs. Artists such as Dana Abbot, and Jamey Saint Pierre, whose voices masterfully capture the essence of the city’s music are also collaborating in this album. The inspiring flavor and aromas that helped create this album are also present at the recording studio: an old jazz hall in the Marigny district where Fats Domino used to play in the 60s and that is currently set up to live recordings: Marigny Studios. In the second part of the production process Gaby Jogeix has the inestimable collaboration of the Grammy Awards nominated brothers Juan and Felipe Guevara adding a modern touch that Gaby always displayed in his work.